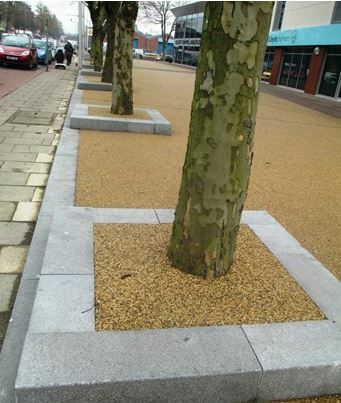 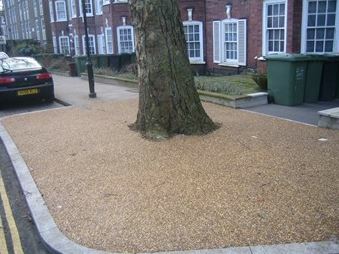 RonaDeck Eco Tree Pit System is a UV Stable, clean, natural aggregate surround for planted trees in public and private areas. 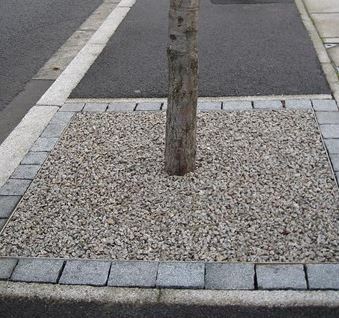 An alternative to traditionally costly metal grilles, the RonaDeck Eco Tree Pit System surrounds the tree in a solid yet flexible construction which prevents a build up of litter and removes a storage or hiding place for hazardous and unsavoury items. 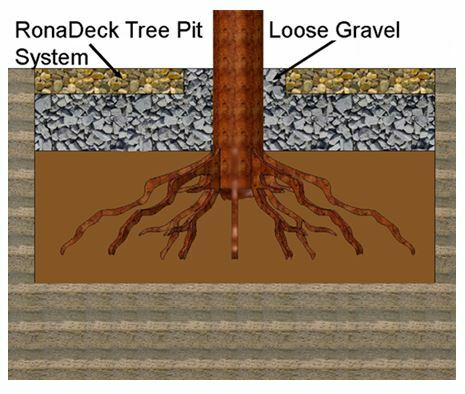 The RonaDeck Eco Tree Pit System natural stone aggregate is porous, allowing water to permeate and the tree to feed and grow, and suitable for light foot traffic.